One fine day while walking through the 310 Acre Wood with my head in the clouds, I happened to glance down at a surprising sight. 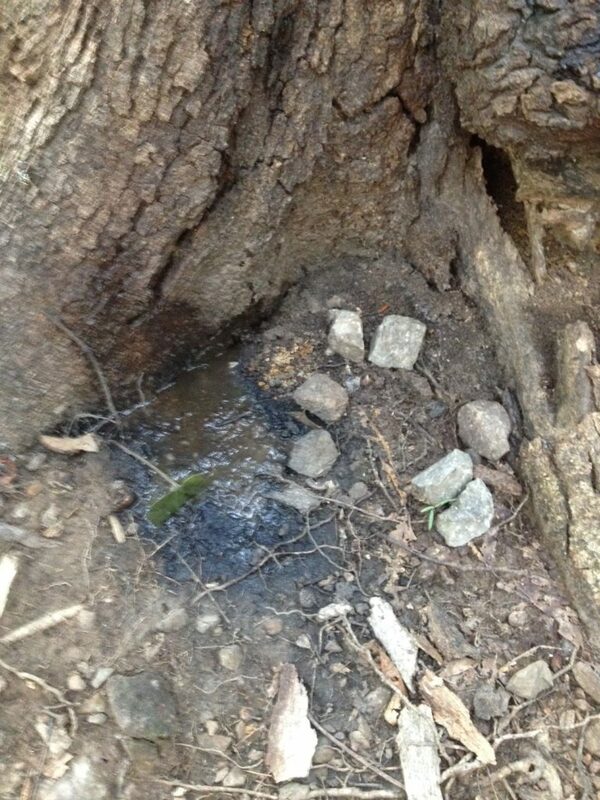 At the base of a tree was a little pool of water by which someone had very carefully arranged a circle of rocks. Huh. I wondered how many times I had walked by without noticing it and took a picture. Many days, weeks, and months passed by and I noticed a little further down the trail a similar tableau. 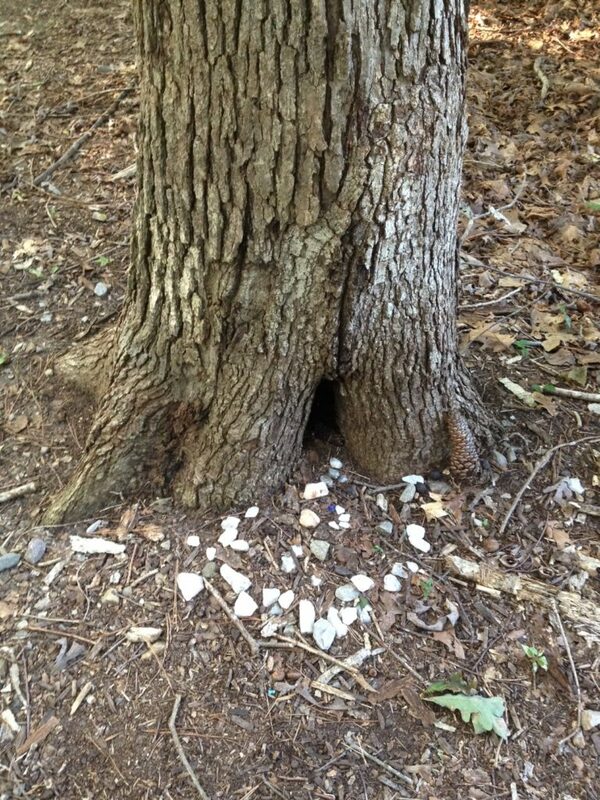 This tree had a small opening (a portal, some would say) encircled by more white stones. 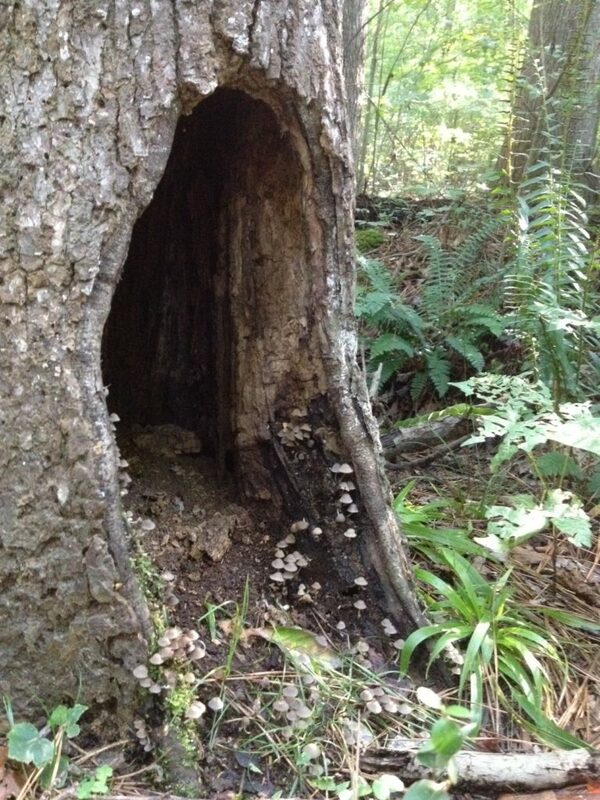 I believe someone is decorating the woods. Or maybe even creating mini-altars! 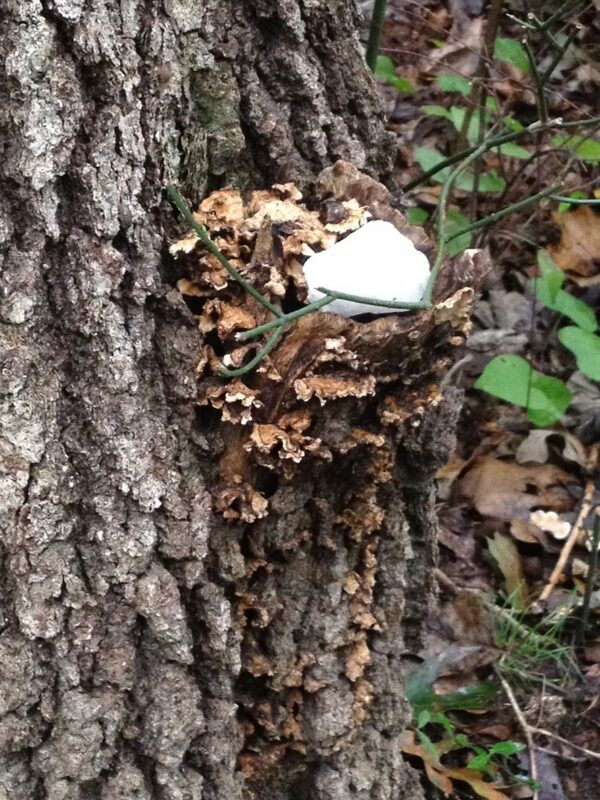 I decided to add my own Little Altar of Delight and Surprise to the trail. 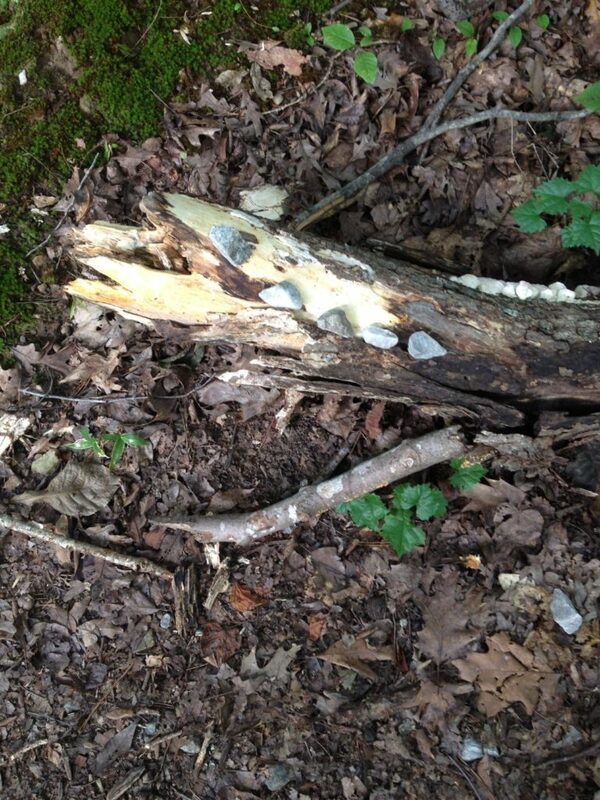 I collected a few nearby rocks that seemed to want to participate and I arranged them on a fallen tree. Sometimes a random pine cone or acorn wants to join the party, and I will add that as I pass by. I always blow it a kiss and nod. The following week I found the newest offering from my unknown like-minded friend. I wondered if s/he had noticed my log. 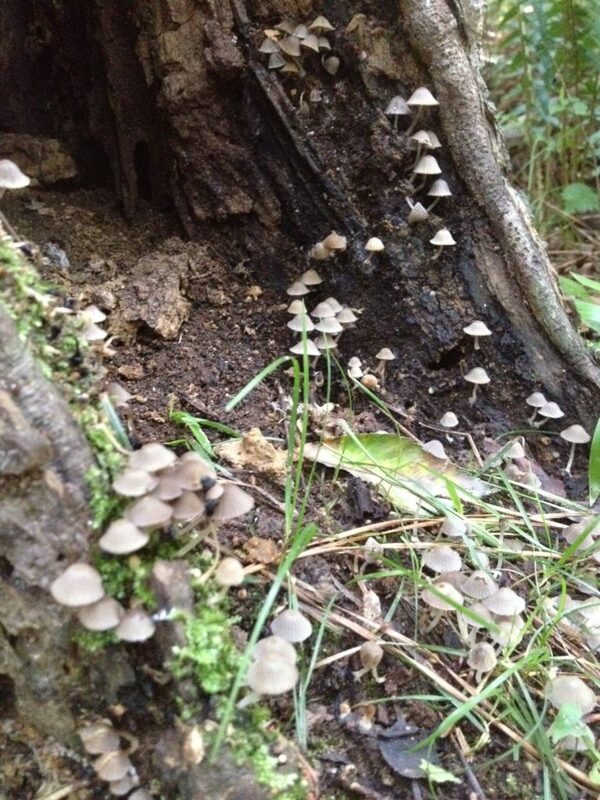 One day after it had rained especially hard, I saw that Nature had done her own decorating. While I am on my daily wander, communing with trees and whatnot, seeing these special places adds tremendously to my experience. Next time you are meandering in your local park, perhaps you might feel the urge to add to the landscape. Be sensible—use only natural objects found nearby so as not to introduce nuisance species or disrupt the friends already living in your special place. 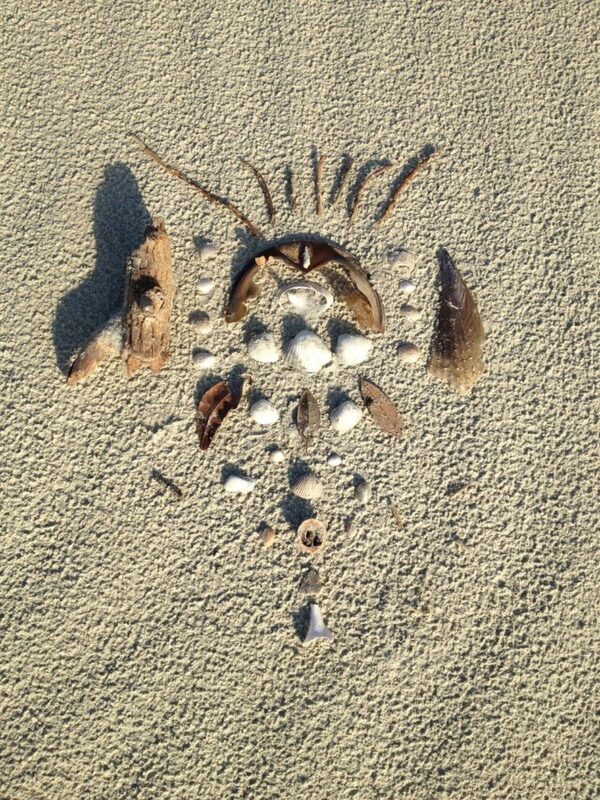 I took my own advice and when I was down at the beach recently, I left a little something behind. It was a great way to spend time in nature, connecting and honoring those with whom we share the planet.